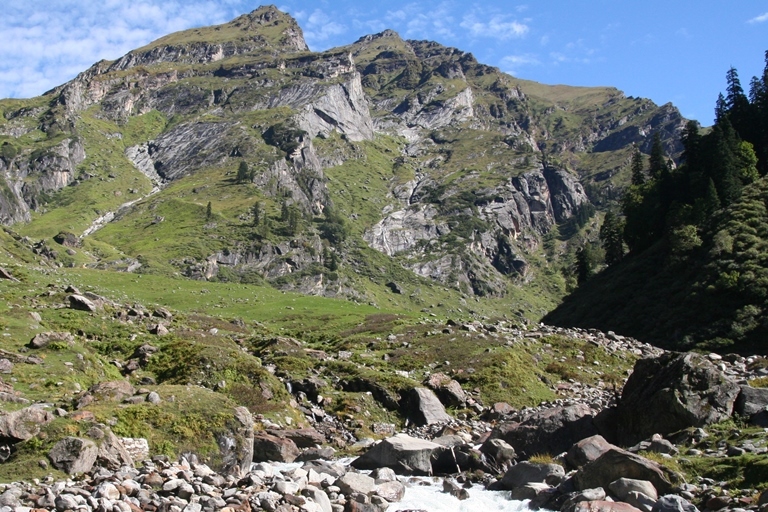 A famously gorgeous valley surrounded by high mountains. A famously gorgeous valley surrounded by high mountains. 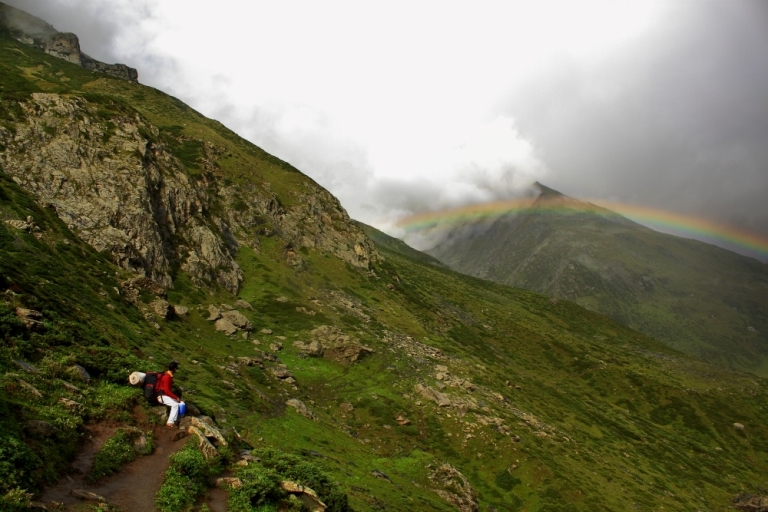 Manali is a brilliant base for preparing for and recuperating after treks. 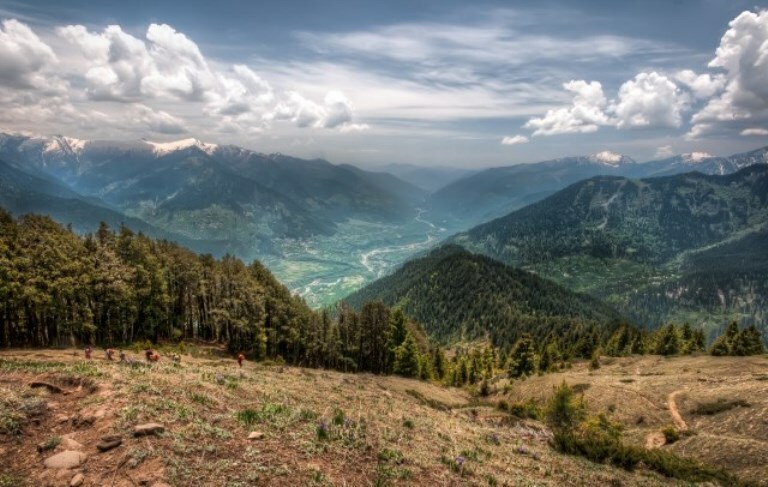 A fine selection of walking, from low wanders through the fields, orchards, paddies and villages of the valley to high level attacks on the Pir Panjal Range, with highlights including the Hampta Pass and the Kugti La. 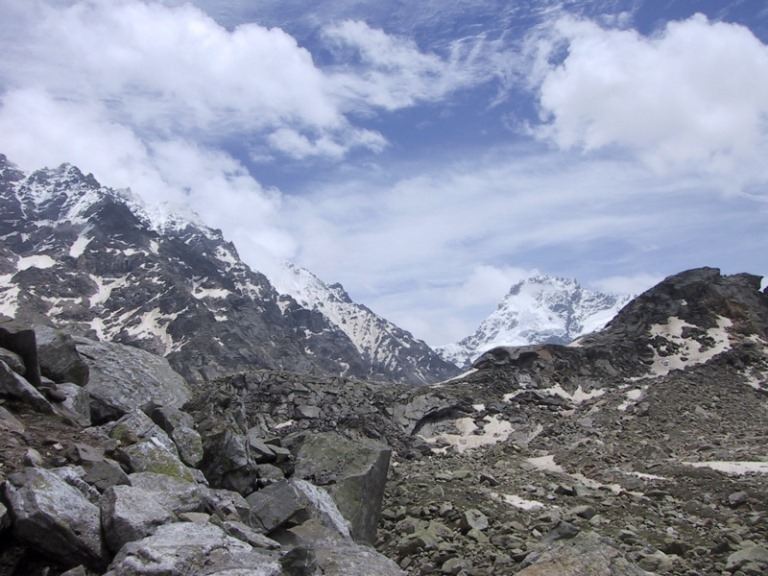 You can also walk circuits through the mountains to the east, and across the Bara Bhangal Range to the west. This can be tough walking in high, remote mountains, on which you will have to be self-sufficient and where altitude can cause real problems. Come prepared. 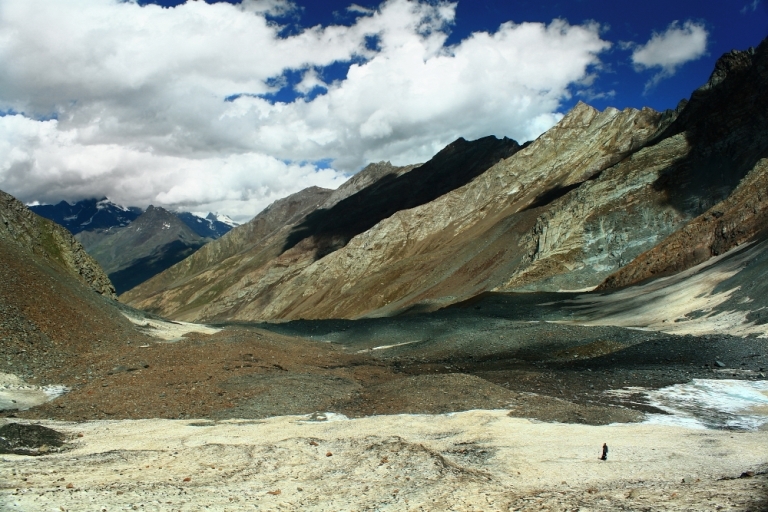 Lonely Planet’s Walking in the Indian Himalayas has brief information. Find relevant books on Amazon. 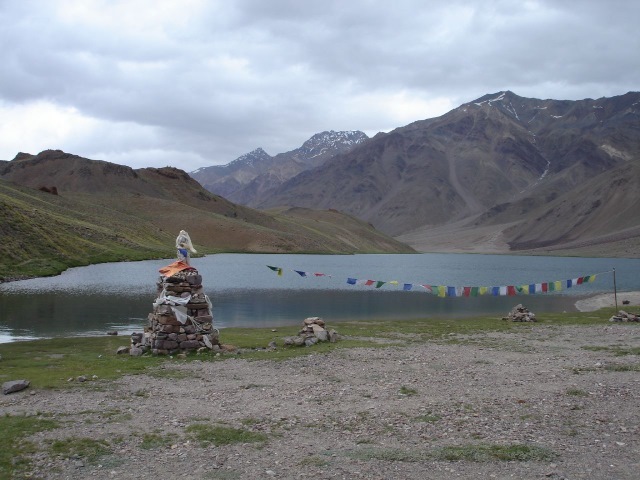 Bias Kund: relatively straightforward walk via the gorgeous Solang Valley to this high sacred lake, where you will be rewarded with its spectacular setting. Gorgeous views throughout. 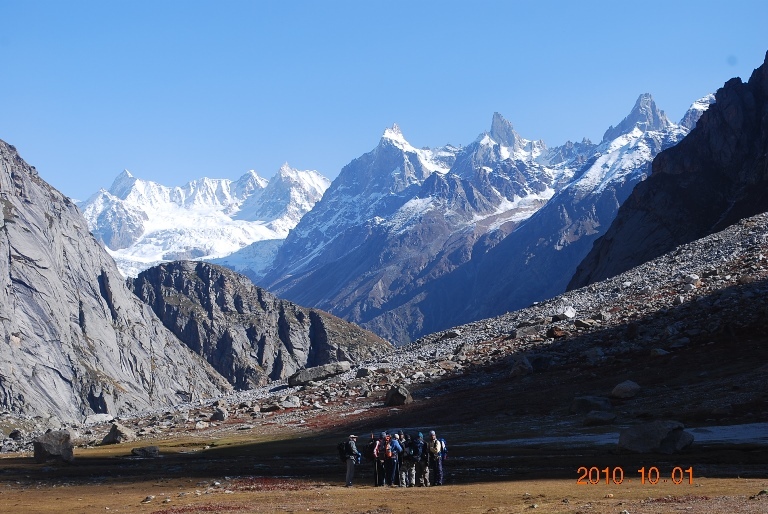 Friendship Peak is a magnificent non-technicial 5,289m trekking peak in the Bias Kund area, surrounded by the stunning peaks and glaciers of the Great Himalaya, Pir Panjal and Dhaula Dhar ranges. 7 Days. 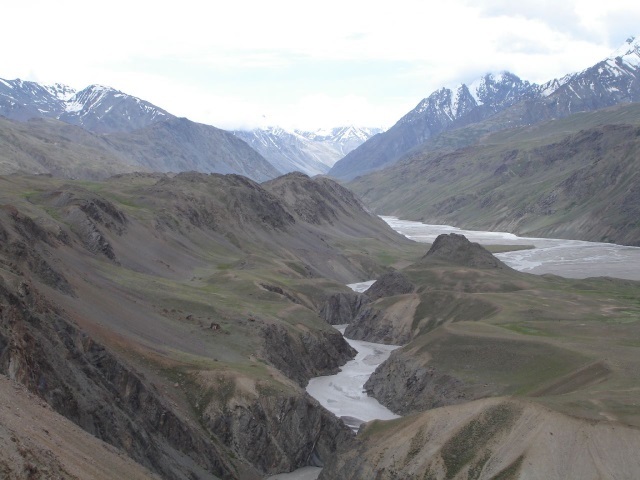 The Chandra Tal trek, and onward to Baralacha La at 4,950m, are suberb walking: wild, barren hills (with bright stream beds) between lush Laukal and bare Zanskar and Ladakh. 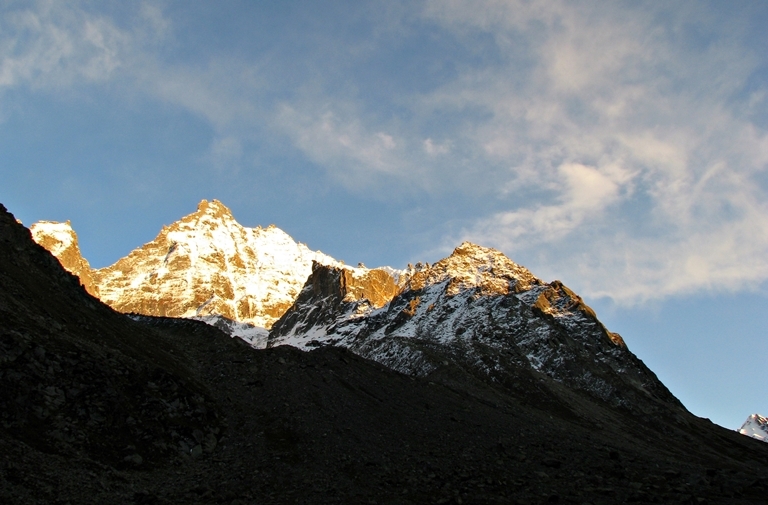 The best time to go varies with the altitude of the treks.